Timothy Pope is looking through his telescope but wait, is that a Shark, in the Park!? 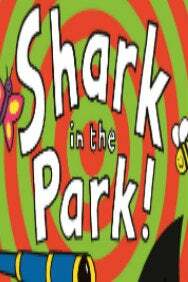 From the creative team behind ‘The Hairy Maclary show’ - see all 3 of Nick Sharratt’s ‘Shark in the Park’ books live on Stage! Check availability of Shark in the Park theatre breaks which will include tickets to the show plus a choice of hotel.